Welcome! My name is Steve Emert, the founding attorney at Emert Law Firm. I have lived and worked in Gwinnett County, Georgia since 1989. My wife and I are raising our two children here. I graduated from law school in 2000, and began practicing law in Gwinnett. I became a partner in a law firm in 2005, and continued there until 2012. 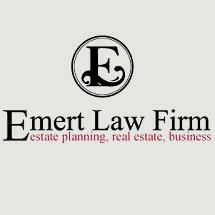 When I launched what is now Emert Law Firm, I wanted to really make a difference in the practice of law. I considered the questions I am most often asked by people when they learn I am an attorney. The questions almost always involve people's children, their property, and how to protect both. They are great questions about issues that concern all of us. With that in mind, I began a practice that is interactive and personal. Estate and business planning involves some of the most important decision of a person's lifetime: how we protect our life's work and provide for those we hold most dear. With so much on the line, it's something you need to get right. For new prospective clients, I start with a free interview-style consultation that is easy and intuitive. I'm looking to draw out their top concerns, explain the options, answer questions, spot potential dangers, and help them implement the right solutions. My mission is to help each client implement a plan that is tailored to meet their specific need and provide peace of mind. see how a premature inheritance can destroy the work ethic of a child. In the end, self-help and online forms are no substitute for sound legal advice. With a broad range of flat-fee priced services, an effective and affordable estate plan is within the reach of nearly everyone. I invite you to take the next step and schedule your free consultation by calling us at (678) 926-9284 or planning@emertlaw.com. Let's get started!